The auto finance industry was one of the first to fully embrace electronic contracting (eContracting) solutions. Be that as it may, it’s nowhere near as widely adopted as one might expect. There remains plenty of room for loan origination, dealer management and portfolio management systems to develop. The industry is also far from reaching its potential when it comes to capital efficiency and transparency. For instance, auto loan securitization is not a new concept in the vehicle finance space. 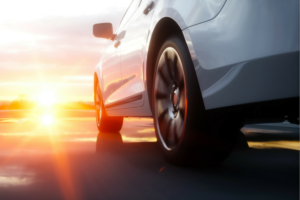 However, the majority of the vehicle dealers and financial institutions originating these auto loans have tapped into digital securitizations. Putting off harnessing digitization to its fullest will be detrimental to any auto finance dealer. According to Aragon Research, documents are now fast becoming perceived as assets. Because of that, they must now be closely managed and tracked as transferable records in order to use them as collateral. How will a robust digital transaction management solution help both lenders and dealers achieve that? A primary concern for dealers is a better customer experience. For customers, dealer efficiency is of chief importance and is also the largest contributing factor to a higher Customer Satisfaction Index (CSI) score. The right digital transaction management system should deliver significant gains in speed and capital efficiency. It will greatly expedite the lending approval process, enhance F&I requirements and reduce costs for operations. Thanks to these boosts, lenders can fund dealers in a matter of hours instead of days and execute loans within minutes. Speed and capital efficiency are attractive qualities to lenders as well as borrowers. This is a major benefit of digital lending, which accelerates both the loan underwriting process and the securitization of auto loans. Lenders needn’t be concerned that they are sacrificing loan quality for speed. Automation actually reduces turndowns from missing data and signatures, increasing booking ratios. The other advantages digitization brings are no less substantial. Thanks to electronic vaulting, or eVaulting, digital assets are easy to access, transfer and take possession of, granting investors and ratings agencies the secure environment they need to approve loans. The increased visibility of these assets on a digital platform also helps lenders make use of their underlying data. JD Byrider, a car sales and finance enterprise, didn’t just want a solution that enabled eSignatures. They wanted one that enabled asset sales, securitization and storage in a secure electronic vault. Find out how we helped them achieve these objectives and more in this case study. This entry was posted in Auto Financing and tagged econtracting, vehicle finance.